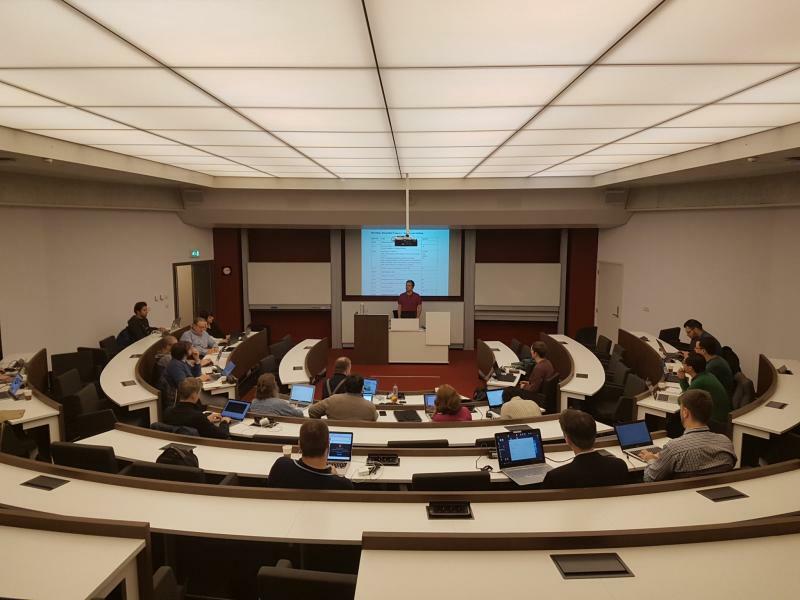 The final plenary meeting of the SlideWiki project took place on November 7-8 in Amsterdam, hosted by project partner Vrije Universiteit Amsterdam. The meeting saw the conclusion of the project’s activities, the preparations for the project’s final review, as well as the final release of the project’s OpenCourseWare (OCW) platform. The SlideWiki platform is fostering open education by supporting the collaborative authoring, sharing, reusing and remixing of OCW. Its final release brings several new features and improvements to the platform, especially impacting its usability and accessibility. Allan Third and Alexander Mikroyannidis represented KMi in the plenary meeting as leaders of two work packages (WP5 and WP9 respectively). WP5 concerns the integration of the SlideWiki platform with major educational platforms, including Learning Managements Systems such as Moodle. WP9 coordinates the piloting and evaluation of the SlideWiki platform within the open education community. Both work packages have been concluded successfully and will be reporting their latest activities in deliverables due at the end of the project.